I actually dreamed about making this the other night. I had been tossing the idea around in my head to create a lei project for summer. 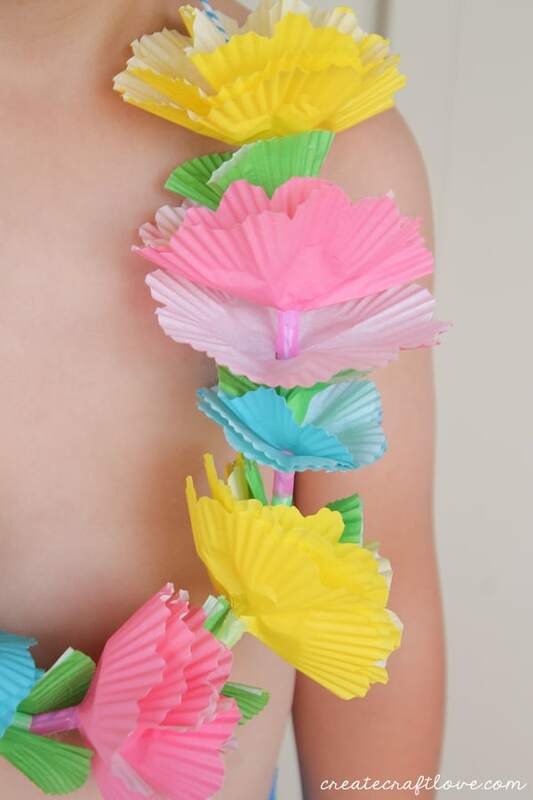 I’m not sure what sparked this, but I was able to re-create this Cupcake Liner Lei from my dream!! The best part is you probably have all of the supplies on hand to make your own! 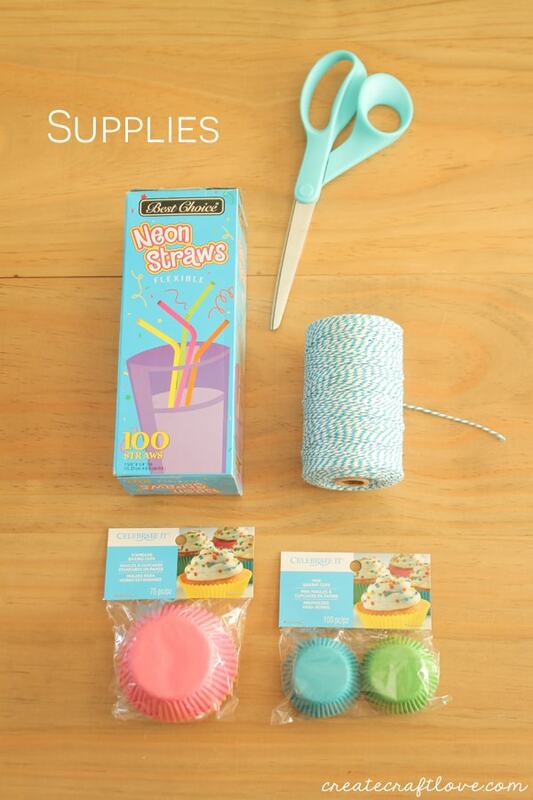 You will need cupcake liners (2 different sizes), straws, scissors, hot glue gun and twine/ribbon. Disclaimer: Kids should not handle the glue gun! Beware of burning tiny fingers! 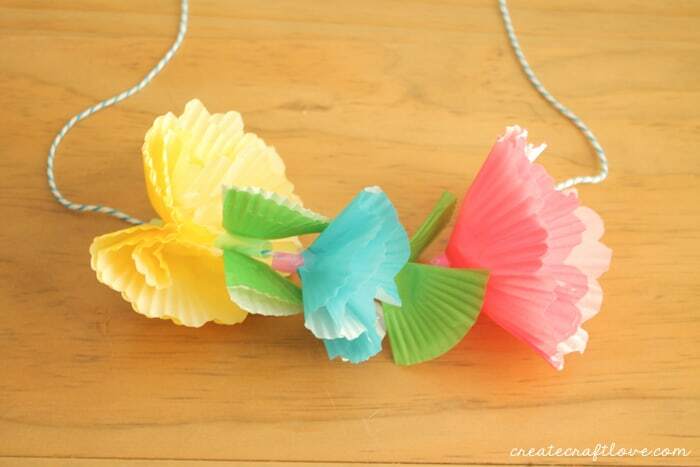 Let’s start by learning how to make the flowers. Cut the top to resemble a heart. 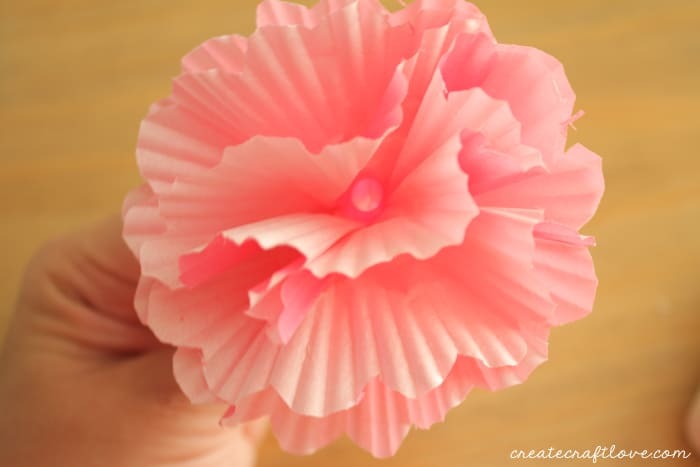 (This will give the flower a scalloped look.) Cut the tip off. Unfold your liners. Cut a 1 inch piece of straw and add hot glue around the middle. Thread straw through the hole in the middle of the liners and hold in place until the glue dries. Fluff up the cupcake liner to give your flower a full appearance. Thread flower onto the twine or ribbon. Next we will go through how to make the leaves. 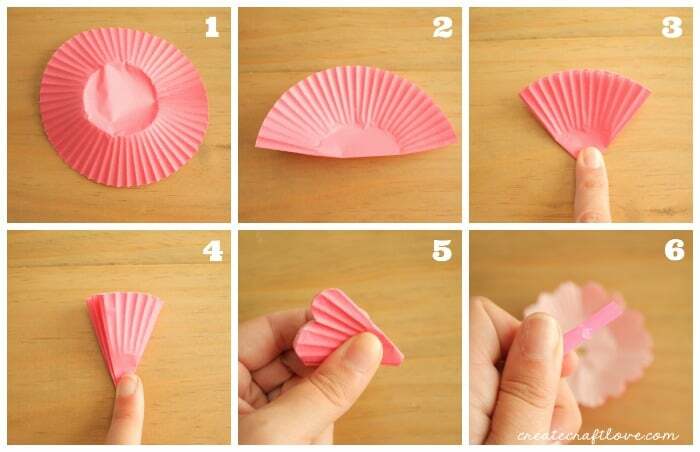 Cut a small cupcake liner in half. Fold each half in half. Add a drop of hot glue to the corners to keep closed. Cut 1 inch of straw and glue a “leaf” to each side of the straw. Thread onto the twine or ribbon. Continue this process until the twine or ribbon is full. Once full, tie the two ends together. Isn’t that the coolest?! The kids can help with cutting, folding and threading onto the twine or ribbon. 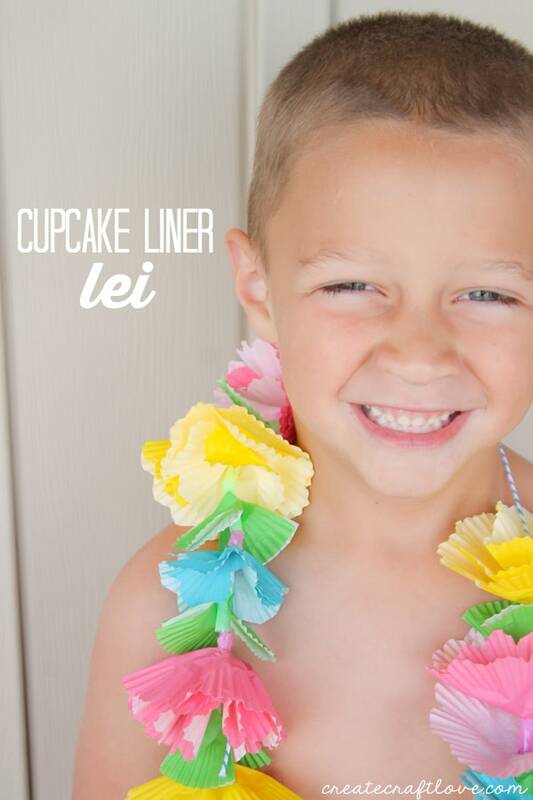 Now you can throw a luau craft night and make your own Cupcake Liner Lei!